Ivybank is a lovely, self catering house in an ideal position, in Scotland's Home of Golf, within the central St.Andrews Conservation Area. The House sleeps five ( 5 ) comfortably, in a double, a twin and a single bedroom. The house stands on a footpath, the Lade Braes, which is a peaceful but very convenient location, three minutes walk to South Street. The path runs westwards for over a mile, past a large play park, along a wooded burn. The rate per week for 2018 remains the same - £695 all inclusive of bedding, laundry, gas, electricity and cleaning. To book, call 07989 227021 or e-mail alice@rafthome.co.uk A deposit of £50 is required to secure the booking and the balance is payable in the month before the visit. PARKING: There is no vehicular access to Ivybank as it is on a pedestrian footpath. Parking is available , kerbside, in Argyle Street, or in the Argyle Street car park (south). This is a minute or two from the house. Parking in the car park is free from 5pm to 8am and all day Sunday. Outwith these times, charges apply. Tickets can be purchased the previous evening. DIRECTIONS: Go to the bottom of the car park, turn left and Ivynak is the third house on the left, with a pale green door. The house name is above the door. The post code is KY16 9DA but Google shows the property much further west than it is (many other local properties are also wrongly located). KY16 9EX is a little more representative - though it's not as near the main road as this shows. 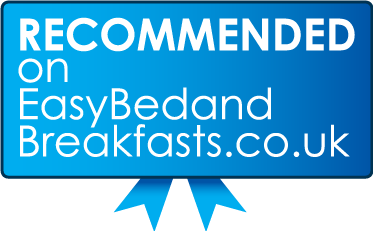 BEDS & HEATING: On arrival, the house will have been professionally cleaned, the heating and hot water will be on ( ready for you to adjust the thermost to suit). The beds will be made up for the number of expected guests. DEPARTURE: As soon after 10am as is convenient. Housekeeping times have not yet been confirmed. My place is close to parks, art and culture, great views, restaurants and dining, and the beach. You’ll love my place because of the location. My place is good for couples and families (with kids). Get a 15 Day Forecast For St Andrews.